Price comparison website uSwitch.com has been taken over by US media group EW Scripps in a £210m ($366m) deal. Scripps owns a range of newspapers and TV stations and syndicates cartoon characters such as Peanuts and Dilbert. It will combine uSwitch.com and its own Shopzilla price comparison site within a new interactive media division. 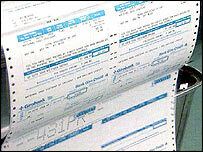 uSwitch.com compares prices on utility and telecoms bills and financial services and is expected to make a profit of £6m to £9m this year. Earlier this year, uSwitch said it was looking to sell itself or list its shares on the stock exchange, with an estimated value of just over £100m. The company was owned by private investors, including Lord Milford Haven, cousin of the Queen, and its employees. uSwitch.com does not charge its users for accessing the site, but gets a fee from the supplier if the consumer chooses to change providers.